A few weeks ago I received an email asking if I would like to attend an event that was being put on by Oblique London. 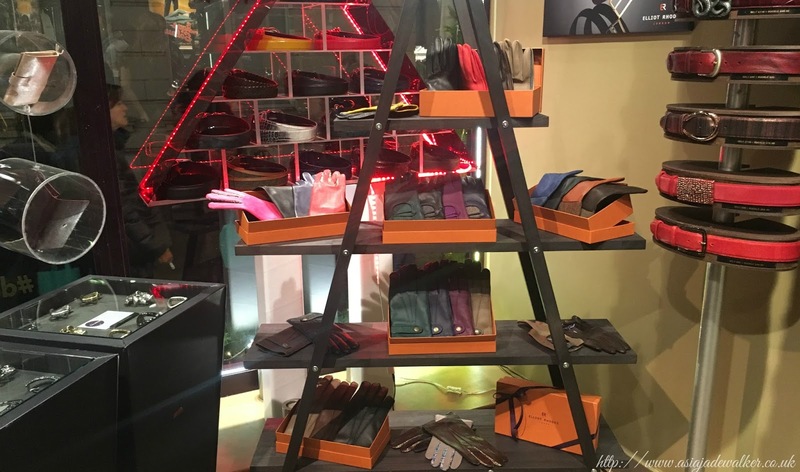 The event was a private viewing of the belt store Elliot Rhodes which sits just off Bond Street. The night was a combination of three different things Oblique London, Elliot Rhodes and Atelier Molinari. Let’s start with Oblique London which is London based members club to socialise with others. It’s run by three brothers Romi, Shonil and Keyu who wanted to create a members club that “helps you to unlock the best experiences across London and beyond.” They put on a mixture of events across London for those who are into fashion, travel, food and drink, music, culture and technology. Each month they put on an array of events that which you can choose to attend or not if you are a member. I was able to pick from four different events which included a live music night, a drawing class and a fitness class. I did opt for the fitness class first of all but that was fully booked so I opted for the fashion experience instead. To become a member you have to apply via their website there is an application process that you have to go through. However, if you know someone who is already a member then they can refer you to become a member. The membership is an annual membership costing £160 if you pay upfront or £18 per month for a year if you pay in instalments. 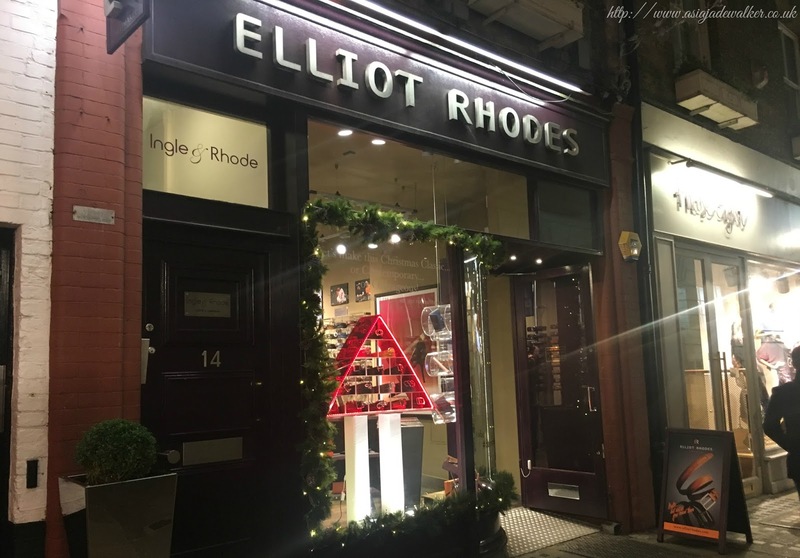 This brings me to Elliot Rhodes who is a belt store located at St Christopher’s Place just off Bond Street. 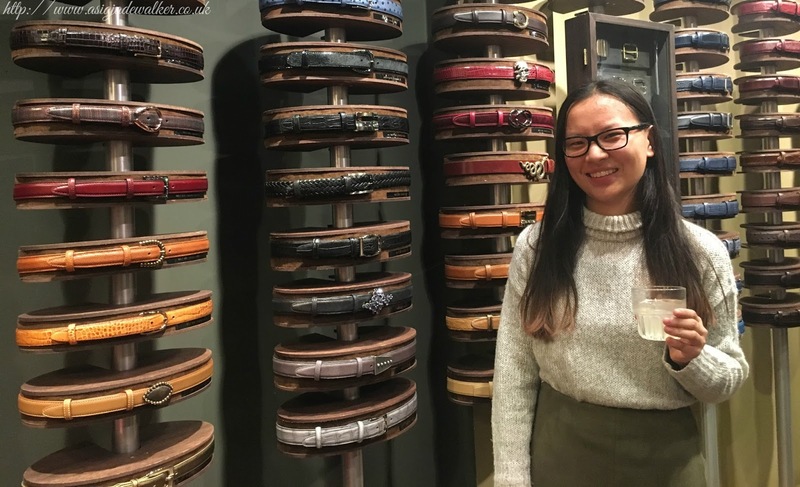 You may be thinking how can there be a whole store just for belts? Well this isn’t like any normal belt store think of it as the Willy Wonka factory of belts. The idea is that you can completely customise your belt from beginning to end. Elliot Rhodes give you the freedom of picking the colour, material, buckle and size. All of the belts have an interchangeable buckle allowing you to change it every day if you wanted to. Straps range from £80 – £200+ whereas buckles range from £20 – £200+ depending on what you are looking for. I really loved the different range of colours and variations of the buckles. 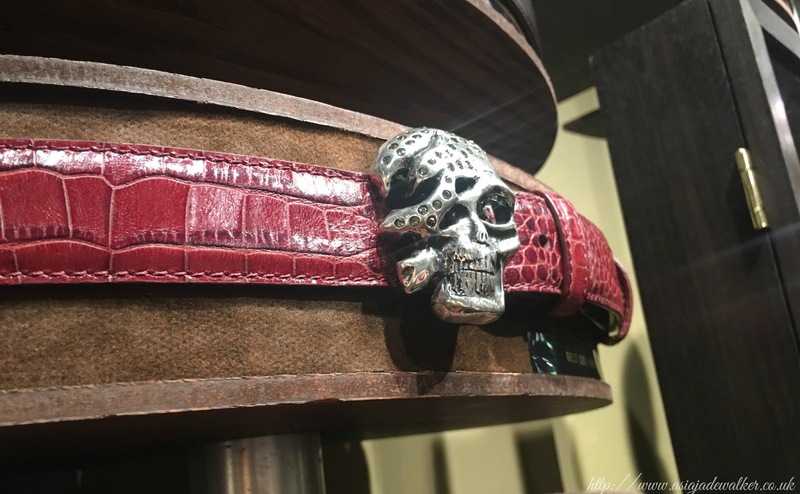 One of my favourite buckles was the skull one as it makes a statement but it’s also quite subtle because it’s not as big as some of the others are. 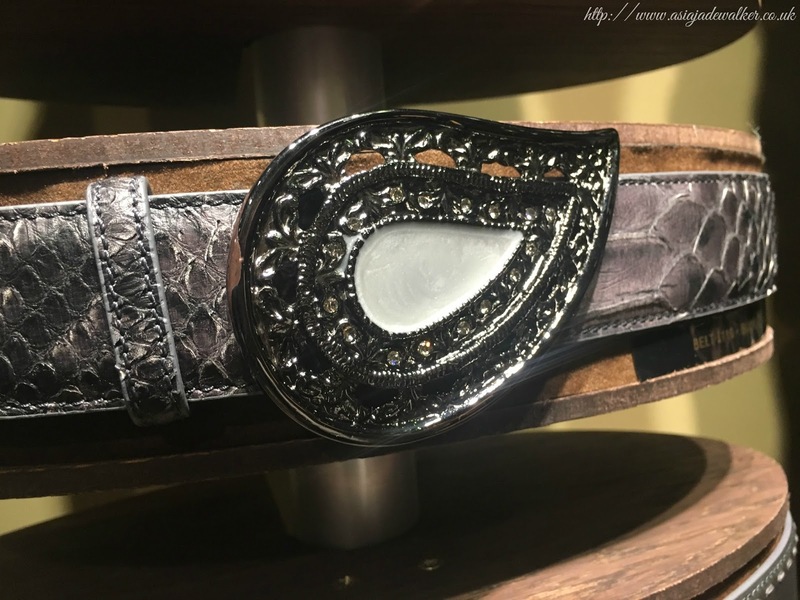 All of the buckles had an incredible amount of detail. A belt is something that can really change an outfit. Which is why having this opportunity to really customise your own is really unique and special in itself. It would be a great Christmas present for someone who likes wearing belts. As it’s also Black Friday this week they have a 20% on everything on their website so now is a prime time to buy one. 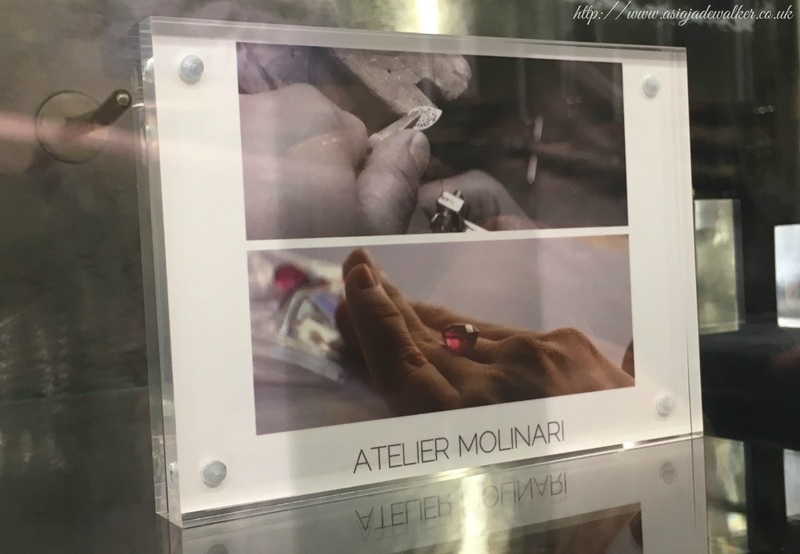 The last part of the evening was spent learning about the jewellery designer Atelier Molinari who “graduated in Jewellery Design from Central Saint Martin’s College of Art and Design London”. 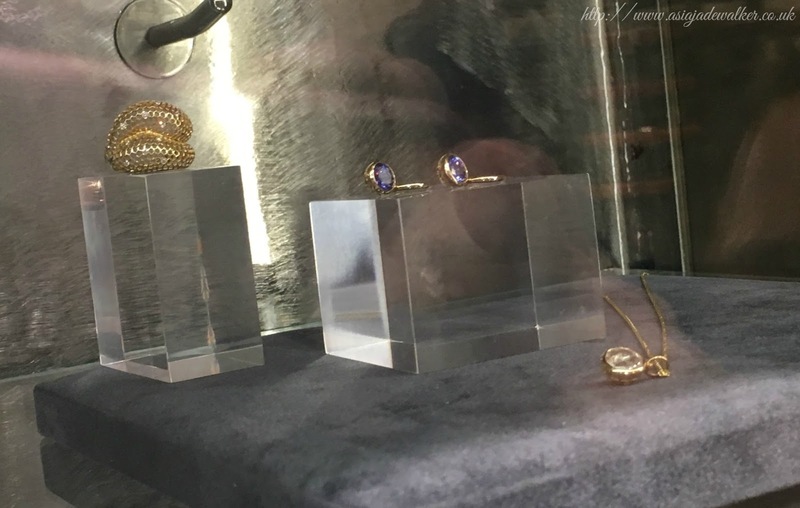 Atelier then went on to “furthering her knowledge at the Gemological Institute of America in New York”. 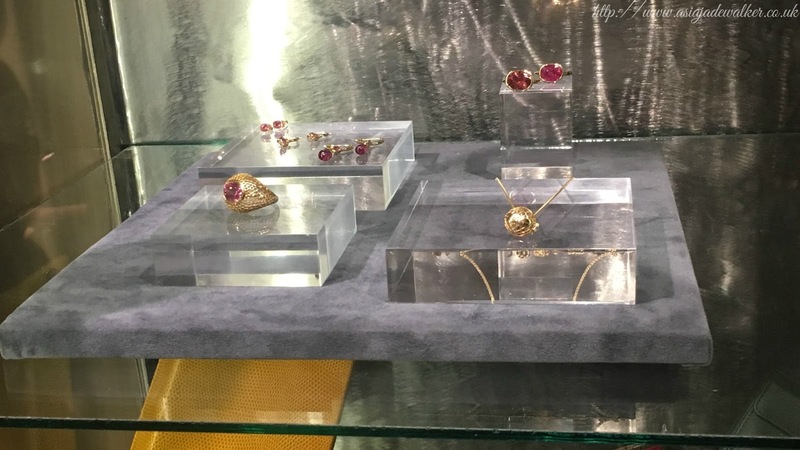 Atelier spent a long time in India learning about all of the different stones and how they are transformed into their final product. Atelier spent a lot of time visiting stone cutting workshops as well as learning from different craftsmen. I would like to say a massive thank you to Oblique London, Elliot Rhodes’ & Atelier Molinari for having me last week. I found the evening really interesting and I learnt a lot about belts and jewellery. I hope that this blog post has taught you a lot about them as well. If you want to find out more information you can always contact them via their social media accounts or read more about them on their websites. "Video | My Wardrobe Tour 2017"